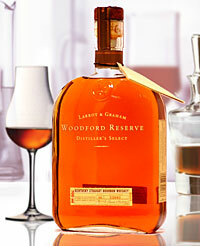 Woodford Reserve. It's Charlie Harper's bourbon. It should be yours, too. Use a bigger ice cube.